Padang Padang is a famous beach and popular site for surfers. 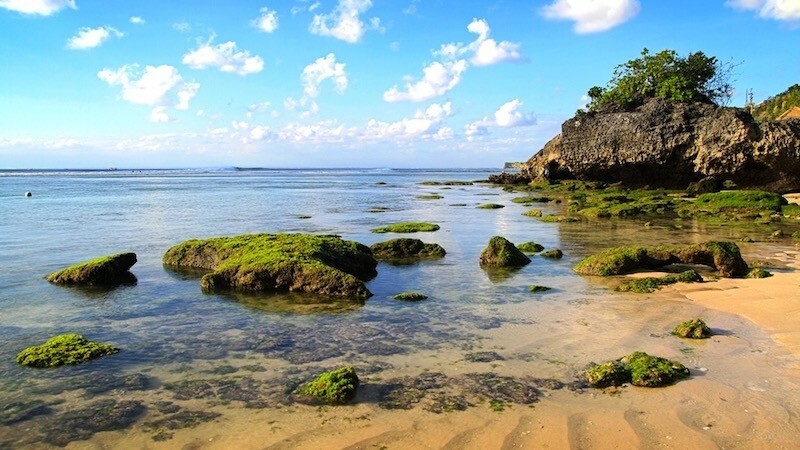 Located in Pecatu south Bali, this seashore features a 100-meter long stretch of clean, white sand. A Place in Bali that every Surfer should check. 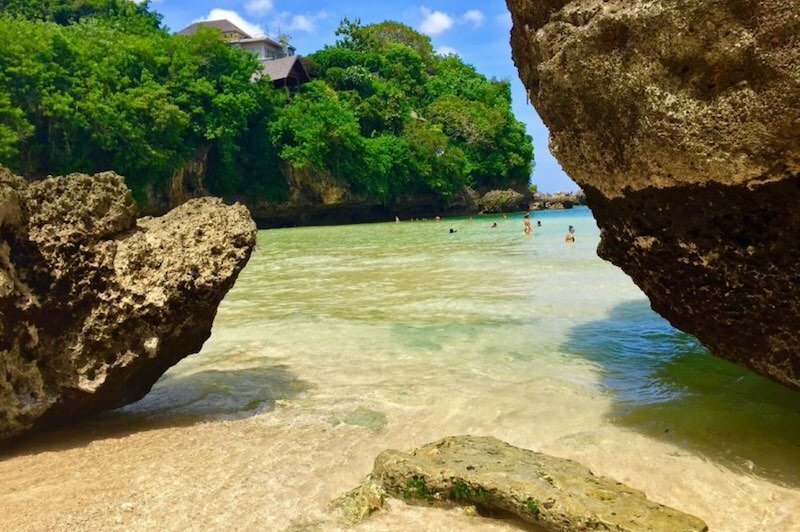 It’s also good to point out that Padang Padang Beach is located in an area that is praised for its natural beauty, a picturesque region that showcases most of the beauties found in Bali in one place. Even though this beautiful beach is an ideal choice for every surfer, in most cases it’s used by experienced surfers who want to improve their skills and enjoy the crystal clear waters and white waves. In addition to surfing, many people use Padang Padang as a family beach where they can relax and play and it's close to Dreamland Beach and one of the most famous surfing beaches, Balangan Beach. Is interesting about this seashore is that it can be accessed by going down the stairs from the main road. It is not unusual for visitors to spot monkeys by the stairs. Of course, you can access this area by boat too. There are so many things to do in Padang Padang that it will take a while to describe them all in details, one of this Rip Curl Cup. That’s why we will focus on the most popular activities on this area.While you are there, take your camera because you can get some really nice shots. Don’t forget that you can unleash your creativity and get involved in some other activities while you are there. Just make sure that you are following the rules and regulations. The Best Surf in Bali. This place is a relatively small cove which provides world-renowned waves to all surfers. Remember that this foreshore is usually recommended to experienced surfers even though there is one spot that can be used by beginners too. This seashore is often visited by people who simply want to rest and enjoy the beautiful area. There are no parties organized on this beach and although it’s small, it has room for everyone. If you love sunbathing and swimming. This area has a tropical climate and decent weather conditions which means that you can visit this place at any time you want. So, if you are planning on traveling to Padang Padang for surfing, the best option is to visit it in the dry season. This season starts in June and ends in September. It is possible to enjoy this place in October, April, and May too because this is a period when the weather is transiting from dry to wet season and vice versa. This means that you can expect to see some excellent surfing waves. Obviously, you can go to this place even when the wet season is on. The weather is still relatively warm and there are many festivals in this period of time hosted close to this area. 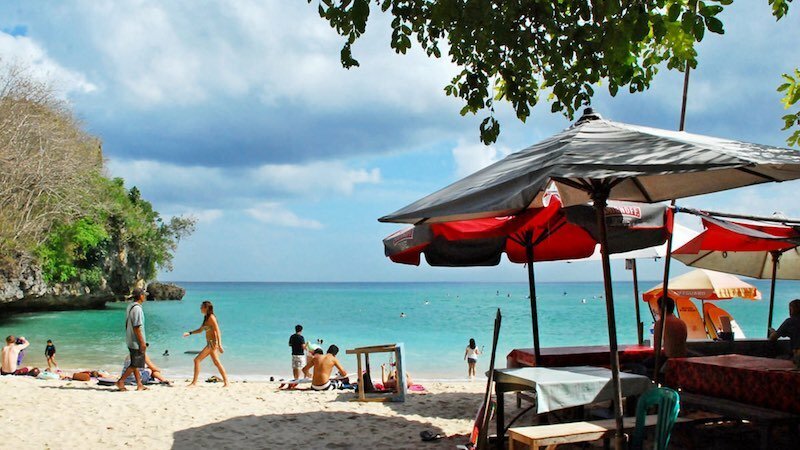 Don’t forget that even in the wet season, people can still enjoy beach activities because some of the days will be humid, yet the sky will be clear. Padang Padang weather conditions are truly tourist-friendly. As one of the most desired holiday destinations in South Bali, it is not a surprise that there are so many hotels. What’s great is that there is a wide price range which means that you can find both cheap and expensive luxurious hotels. Visitors to any budget can come to Padang Padang Hotels. Some of the hotels are situated close to the seashore itself are Renaissance Bali Uluwatu Resort & Spa, Guna Mandala Inn, Suarga Hotel, Padang Padang Inn, and Pinkcoco Bali Hotel. Don’t forget that the rates of these hotels are closely related to the period of the year which means that you can find good offers between seasons. The foreshore is located in the west part of South Bali. This beach is situated next to the town of Padang. It’s also close to the Uluwatu sea temple. In order to enter the beach, you have to go through a cave crevice and walk the stairs. You have to follow Labuansait Street to get there. Visitors will spot this place easily thanks to the crystal clear waters and perfect sand on this 100-meter long seashore. The closest airport is located in Denpasar, the capital of Bali Island, about one hour drive from this point.